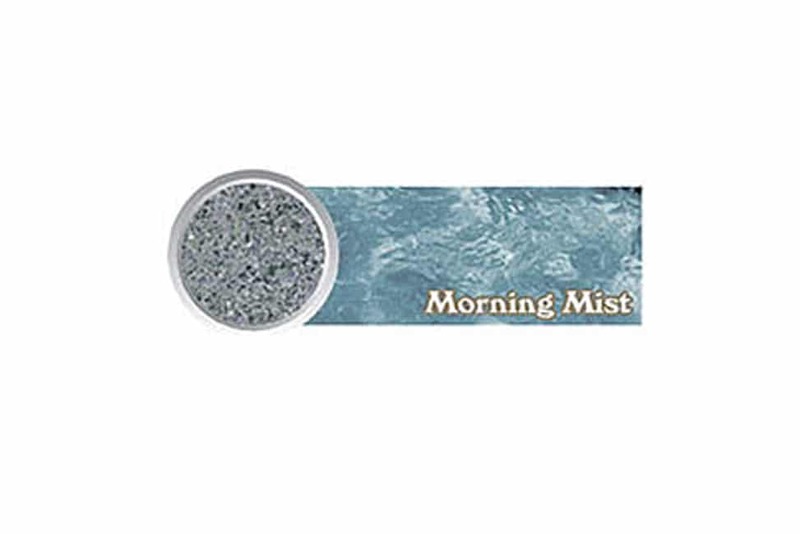 Durazzo Pool Plaster Finish | Coronado's Pool Renovations, Inc.
Durazzo is a state-of-the-art, pre-blended pool finish designed to provide an exceptionally smooth, colorful and long lasting finish. 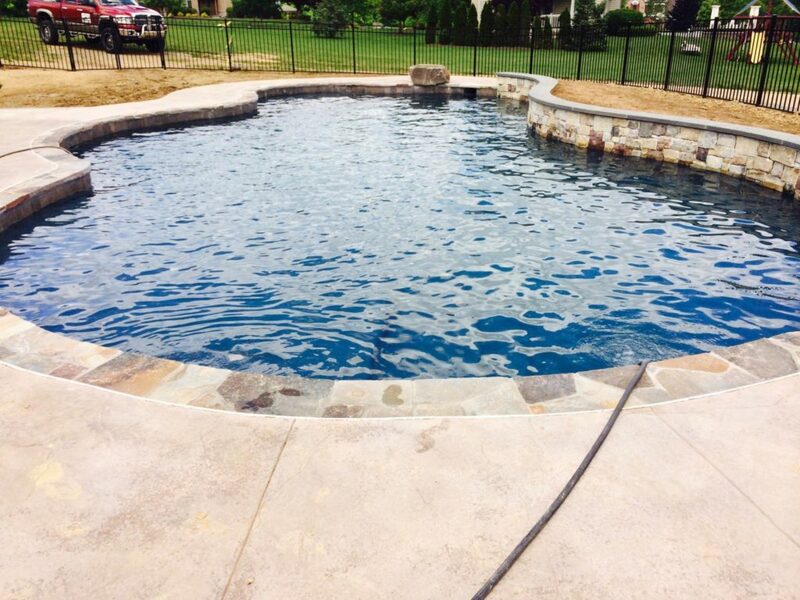 Durazzo’s unique formulation of the whitest marble aggregates, highest quality color quartz, Portland cement and performance enhancing admixtures is resistant to common pool plaster problems like spot etching, staining and discoloration. Beauty that stands the test every time. 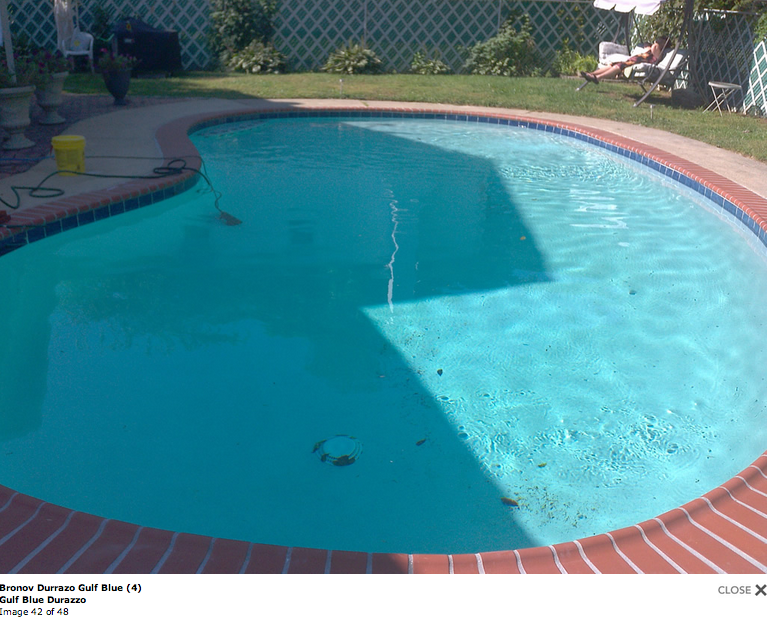 Traditional pool plasters are quickly deteriorated by harsh chemical environments. 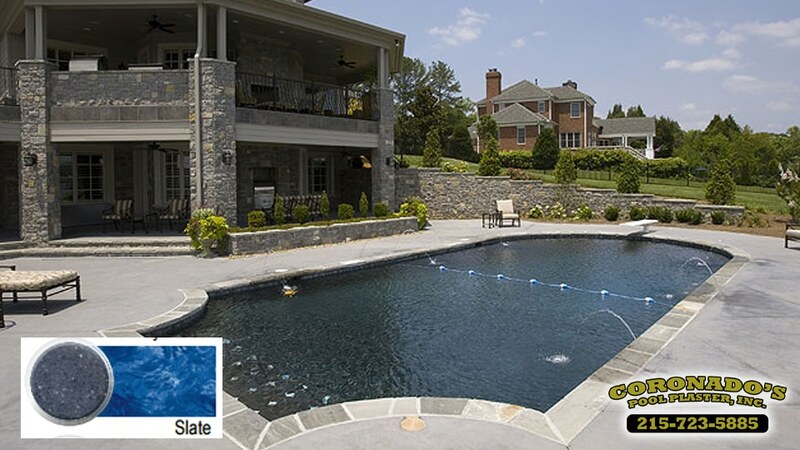 Spot etching, staining and discoloration quickly destroy these average pool surfaces marring their original beauty. 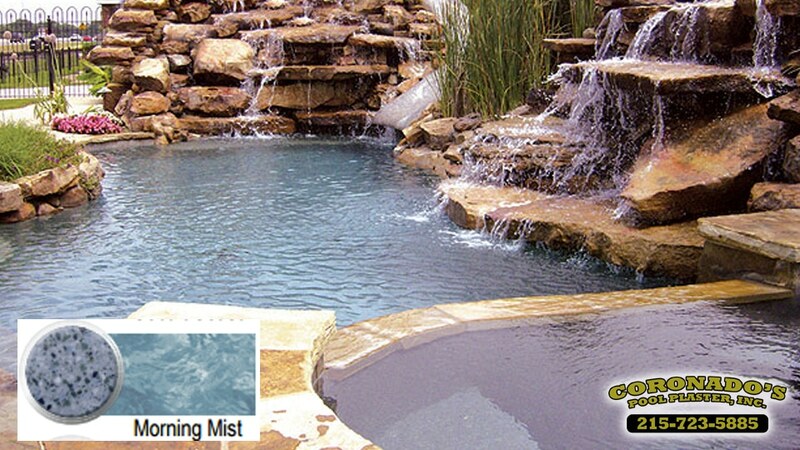 Durazzo pool finishes however, perform where normal pool plasters fail, resisting time and chemical elements. 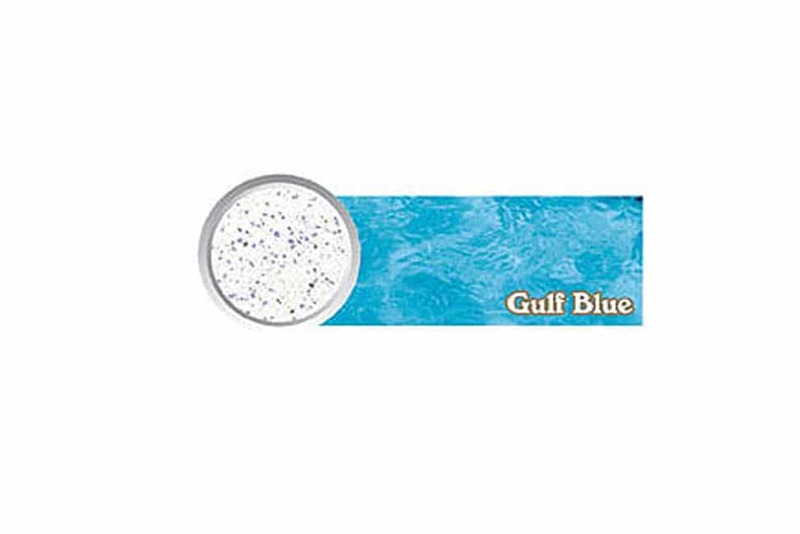 Durazzo’s premium grade marble aggregates and the highest quality colored Diamond quartz assures the pool owner of a pool finish with lasting beauty. 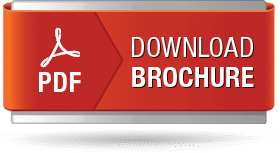 The performance enhancing cement used in Durazzo strengthens the finish by increasing its hardness, reducing water penetration and giving higher bond strength. 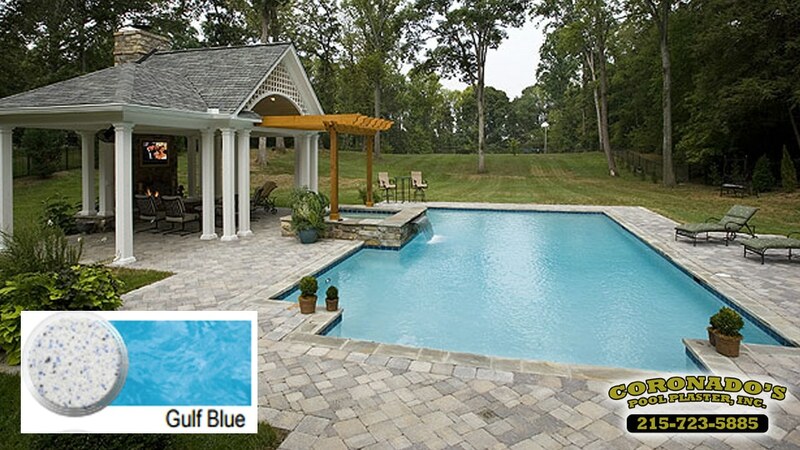 The combination of superior ingredients and the unique application process is the cornerstone of Durazzo’s extravagantly beautiful and durable pool finish. 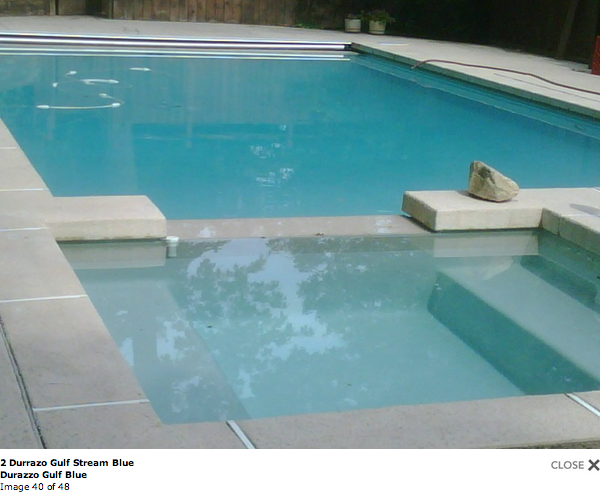 The beauty of Durazzo pool finish is more than skin deep. You’ll feel secure knowing, Durazzo is slip resistant and safe on both the feet and swimsuits. 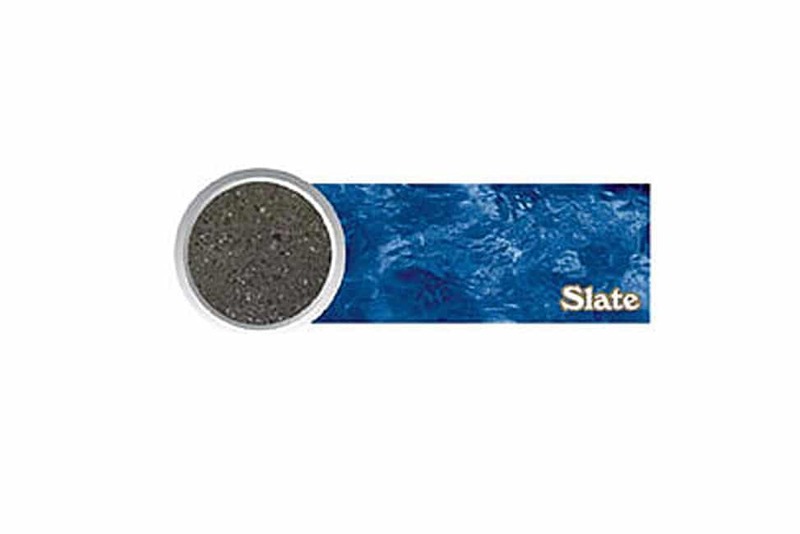 Durazzo uses premium marble aggregates that are finer than pebble surfaces. Your feet will love it! And when safety is paramount you will relax knowing Durazzo is a non-skid and gentle finish. 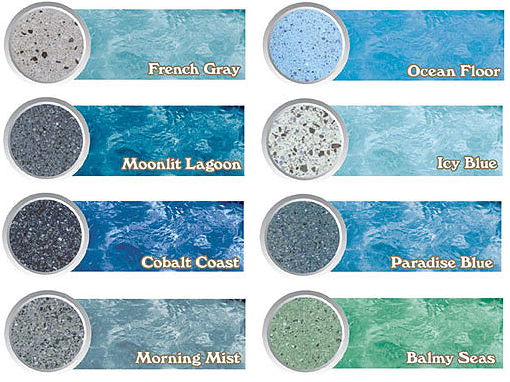 Durazzo, the premium polished marbled pool finish, was designed with the user in mind. Ease of maintenance was a top priority. 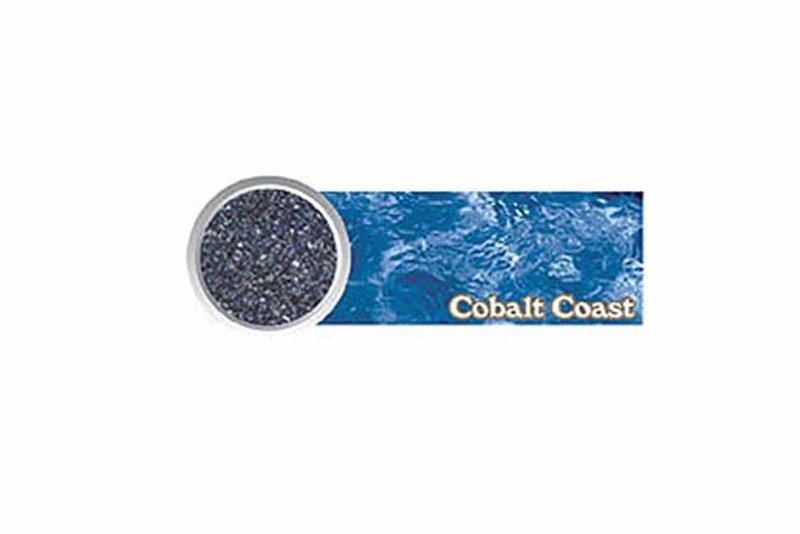 The impenetrable colored quartz within a Durazzo pool surface resists staining and etching that result from the exposure to harsh pool chemicals. Durazzo finishes are user friendly. Unlike traditional plaster surfaces, Durazzo pools naturally fight off stains and chemicals that can damage your pool’s finish. 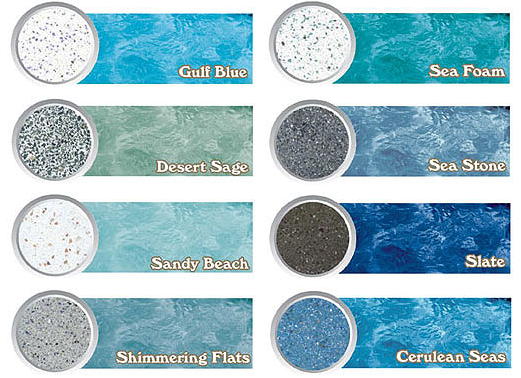 Durazzo offers an optimal range of color designs that are factory blended to perfection. Your pool can become an extension of your dreams. And if you’re so inclined, you can even custom blend our premium finish to invent an exquisite poolscape that truly begets originality.